Top level DJ for your wedding, corporate event, or function. 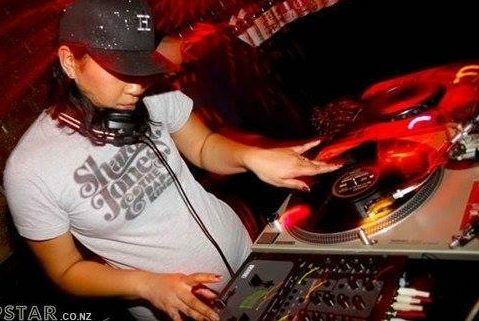 Ayesha is one of New Zealand’s leading DJs, She has performed at events such as Glastonbury, City of London Festival, AWME (Melbourne), WOW After Functions, De La Soul After Party, 60 years of Stripes and Soles Ladies Night at the adidas Originals Store and DJ’d regularly on Radio Active’s NZ Music Show. Ayesha has been DJing for over 10 years. The style of music she prefers to play is soul, funk, disco to hip-hop and other genres put in there with good measure. She has supported various NZ Artists including Electric Wire Hustle, King Kapisi, Opensouls, Sola Rosa, Hollie Smith, Lisa Tomlins, Recloose, Mikki Dee, Iva Lamkum, Bella Kalolo, Vince Harder, 4 Corners, JDubs, LP and Ladi 6.